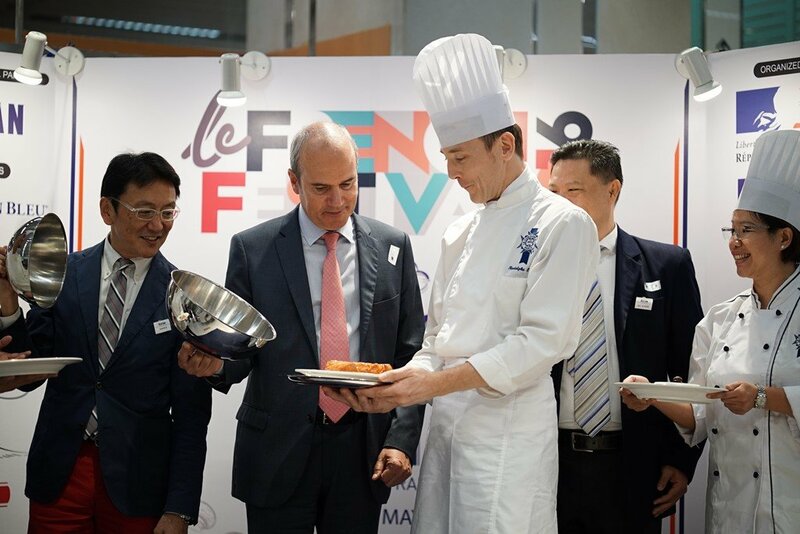 Business France has invited Le cordon Bleu Malaysia to participate in the second edition of “Bonjour France – A Taste of France” an event to promote French Products with special feature from Brittany Region. Le Cordon Bleu sponsored canapés for all the four launches of the participating retail gourmet stores with the help of Alumni. Over the period of the promotion Chefs and Alumni had participated in cooking demonstrations at all retail gourmet stores as follows:-. Y Bhg Dato Fazley , Chef Alina Hew, Chef Joanne Yeong contributed by setting up a pop up café and conducted cooking demonstrations at Isetan KLCC, Chef Janice Siew set up her pop up kiosk – Patisserie at Jason’s food Hall & Bangsar Village Grocers, Chef Swee San her Bespoke Cream Flower cakes – the Sweet Spot at Jaya Grocers –Intermark and Bangsar Village Grocer and Chef David Lee founder of Pantry a new breakfast place presented several cooking demonstrations at the Retails Grocers as well. Their participation helped boost and promote the Alumni Chapter in Malaysia and contributed to the Alumni Association Fund.